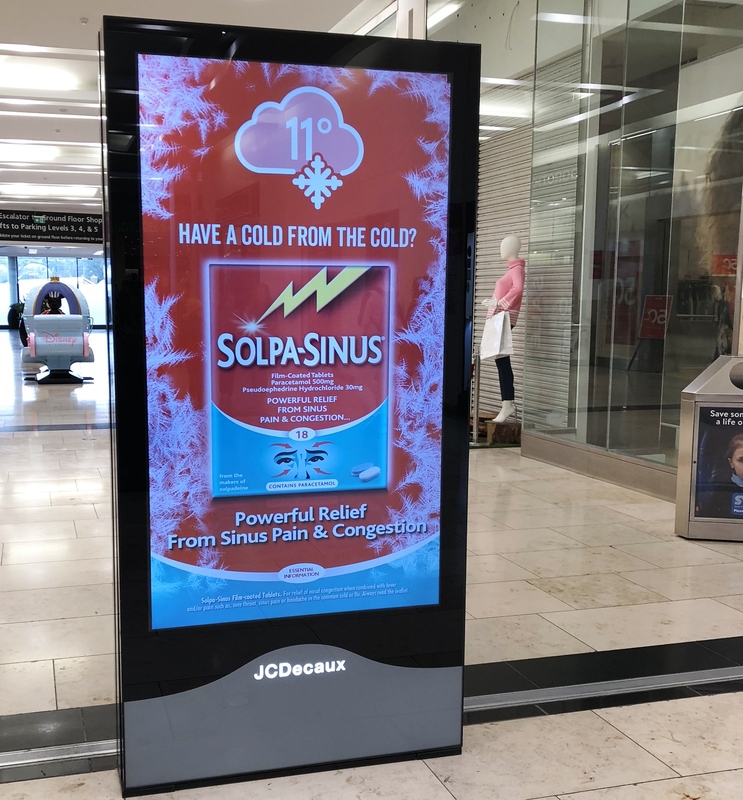 As the temperatures begin to take a dip, Solpa-Sinus has executed a perfectly timed Out of Home campaign incorporating dynamic content. 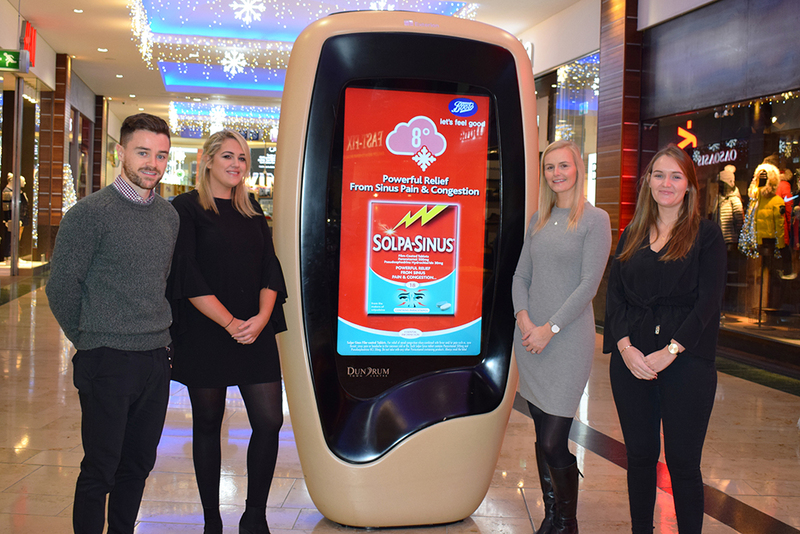 Utilising various Digital OOH networks and locations, the contextually driven campaign aims to achieve brand awareness and communicate the effectiveness of Solpa-Sinus to a broad audience coming into cold and flu season. Planned by Zenith and PML with creative by Twoscompany, the campaign for the Perrigo owned brand deepens the relevancy of its messaging by integrating temperature-controlled scheduling through PML Group’s Dynamic platform. The nationwide campaign features a weather trigger whereby once the temperature drops below 12 degrees, the creative execution switches to display the current temperature and serve a tailored tagline; ‘Have a cold from the cold?’. Pinpoint location data adds another layer to the strategic approach to the OOH planning, resulting in optimal choices of location and environment. The dynamically enabled campaign is displaying on Retail dPods, iVisions and Adshel Live across the country. The campaign is further optimised with screens in close proximity to Boots stores displaying an ‘Available at Boots’ call to action. PML Group’s OCS travel and consumer survey indicates that 67% of people in Ireland are keen to see weather messaging displayed on DOOH. As a seasonal product, the use of the Dynamic platform presented the opportunity for Solpa-Sinus to create a smarter and seasonally relevant campaign, engaging the audience further. By building awareness in hyper-relevant spaces and bringing the campaign closer to the point of sale, as well as highlighting Boots as stockists, it increases memorability and the likelihood of conversion.